That’s a great question! We believe that one week can have an everlasting impact on our campers. This is also true with our staff. 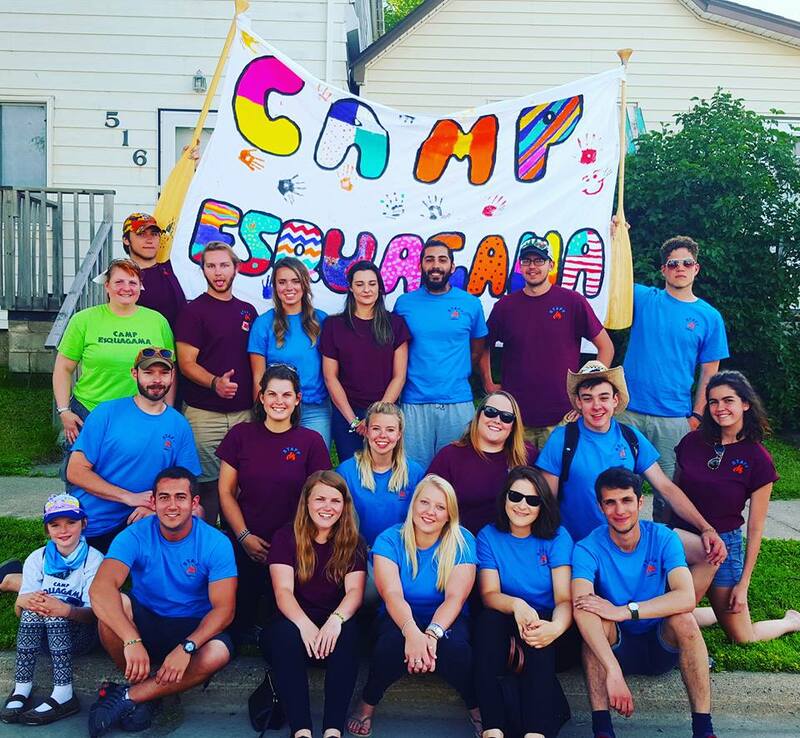 We believe that working at Camp Esquagama can have an everlasting impact on our fellow team members. Working at camp is hard work, but can be very rewarding. Before going much farther, take a moment and think about what you are looking for from this summer. Are you looking to get outdoors, learn and teach new skills, work in a team with a diverse group of individuals, be a mentor to hundreds of campers, and possibly leave an everlasting impact with a fellow human being. If you answered yes to all of these, then working at Camp Esquagama may be just the job for you. Our Camp Counselors supervise single gender cabins with a co-cabin counselor for a week at a time. Outside of Cabin Time, Camp Counselors are in charge of different Activity Areas and instructing their respected Activities. Each day Counselors receive a minimum 1 hour break where they can do laundry, read a book, hang out in the staff lounge, and/or take a nap. All programming staff live on-sit while camp is in session, but then are free to travel and see the beauty of Minnesota during their weekend time-off. Take a look at at our available positions for the upcoming summer season and read through the descriptions. When you’re ready, fill out the application and you should here back from us within a couple weeks. Until then, check out our Facebook and Instagram pages for more photos and videos.